With elementary school in the rear view mirror and middle school on the horizon in August, I am struck by the journey we’ve had. We started elementary school together, like I’d imagine most families do; navigating bus schedules, school activities, classroom supply lists, hoping friends would be made and that Tucker would have a zest and love for learning. It seemed so simple and for the most part it was, or at least for the first week it was. We had one week to fall into a routine with a green kindergartener and a three-year old in preschool before our lives would irrevocably change. With my mother wringing her hands and trying to maintain her composure, begging me to not have more than one glass of wine at dinner since alcohol and anesthesia probably didn’t mix, we were upon the eve of week two of Kindergarten. I popped my head into the play room and mustered all my strength to say goodbye. Our journey had begun and the bell had been rung. Paul and I drove downtown, ate dinner, made some calls to close friends to tell them we loved them, and called it a night in a hotel a block from the hospital. Monday, August 18 at 5 am, before my green kindergartener would step upon the bus, I walked into the hospital for my craniotomy. Nearly 6 years later, the life we live now, the people we’ve become, the magnitude of where this journey has taken each of us has roots in that week. Yet the tapestry of our entire journey has been about so much more and is composed of individual and collective journeys. 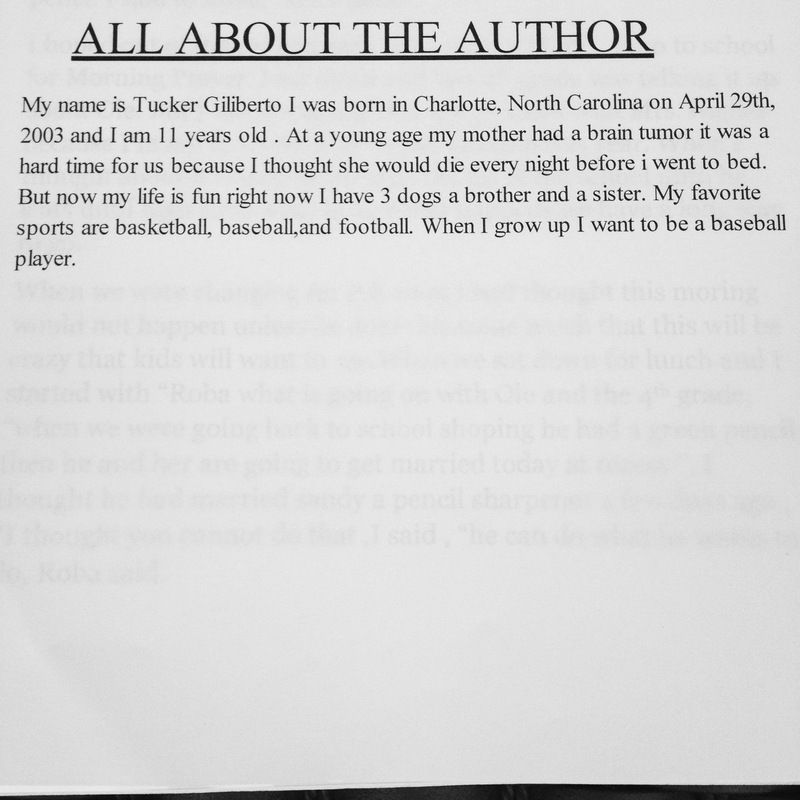 For Tucker, elementary school has been a journey of overcoming the challenges of living with dyslexia and overcoming repetitive failure to eventually find success. His has been a journey of being the smallest among your peers yet standing tall. A journey about finally discovering a love for reading and that he has a voice and message to share. A journey about facing fears, stress and anxiety over my diagnosis and having the courage to ask me questions. A six-year journey culminating in an 11-year-old boy realizing that effort, determination and persistence lead to great things. Unlike many of my mommy peers with rising middle schoolers, I’m not sentimental about the closure of this chapter of our lives as we bid adieu to elementary school for our first-born. I am not teary eyed and I am not wishing that time stood still. I am grateful, very grateful. I am grateful that through these 6 years, I have been able to walk these often arduous paths with him. I am grateful I have been able to advocate, often loudly and firmly, for him and his needs. I am grateful to have been a part of his journey through elementary school and to be a part of him embarking upon middle school. I am grateful that while my diagnosis has cast a long shadow upon his life, that he has sought out the sunshine and the joy. An anthology of Tucker’s writing came home spiral bound this week. Filled with motivating teacher letters, student precept quotes and pages of Tucker’s writing, there were five sentences that said so much. With quiet courage and boldly brave he stopped my heart. Life keeps moving and we will both keep writing. You ARE an amazing mom. I see it everyday and feel so blessed to have you and your family at The Atlanta Academy. You’ve taught your children to love life and to love their family. You’ve also taught them to cherish what’s important. You are such an inspiration to me. Fantastic piece. You’ve raised great, grounded kids. We could all learn a lot from you and your kids! You are inspiring and amazing and so is your family.